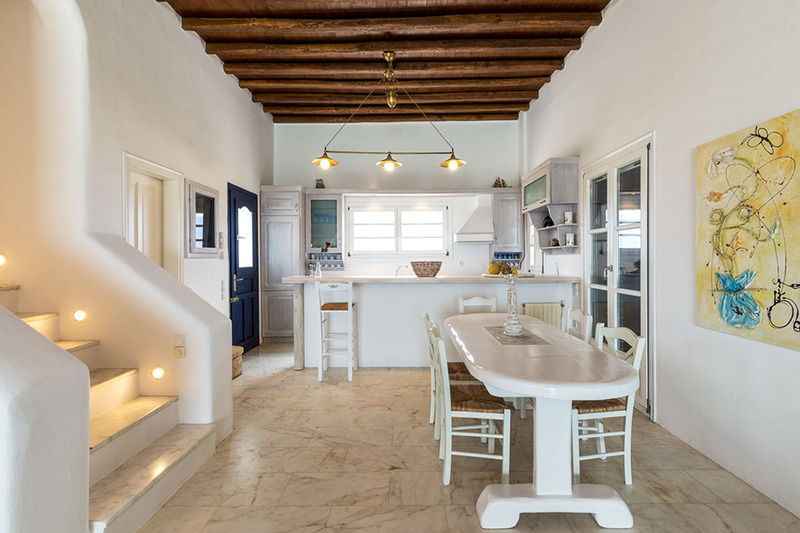 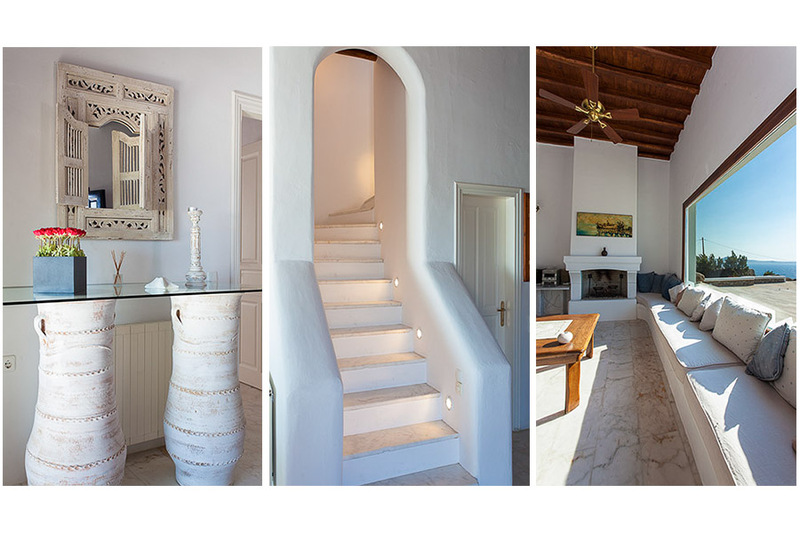 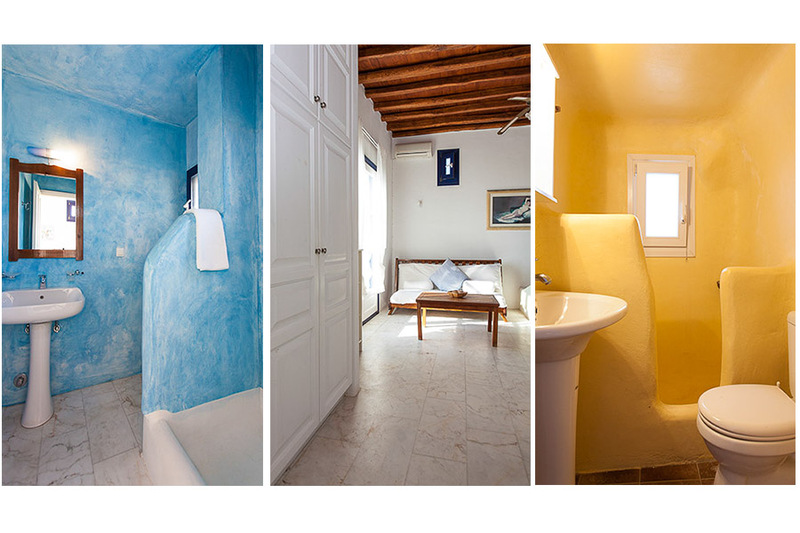 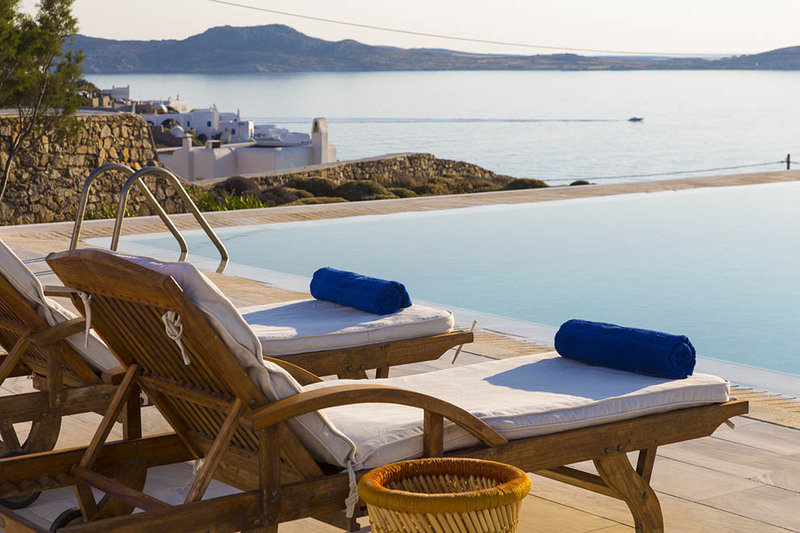 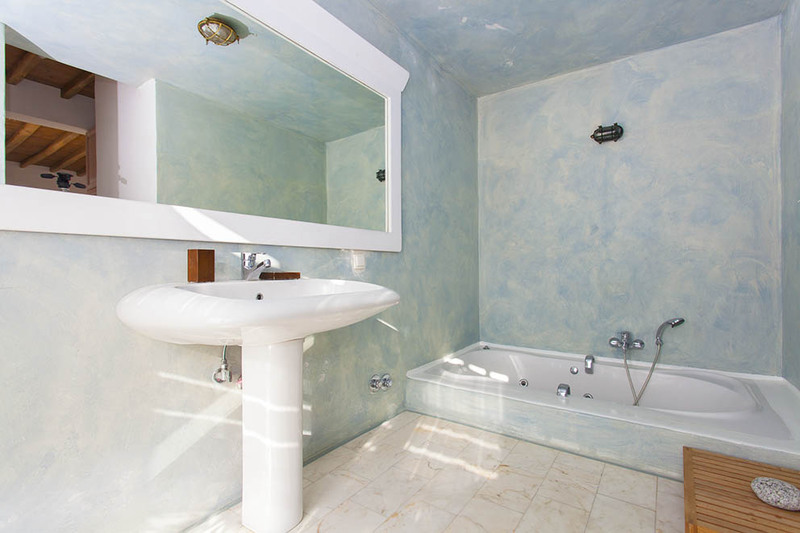 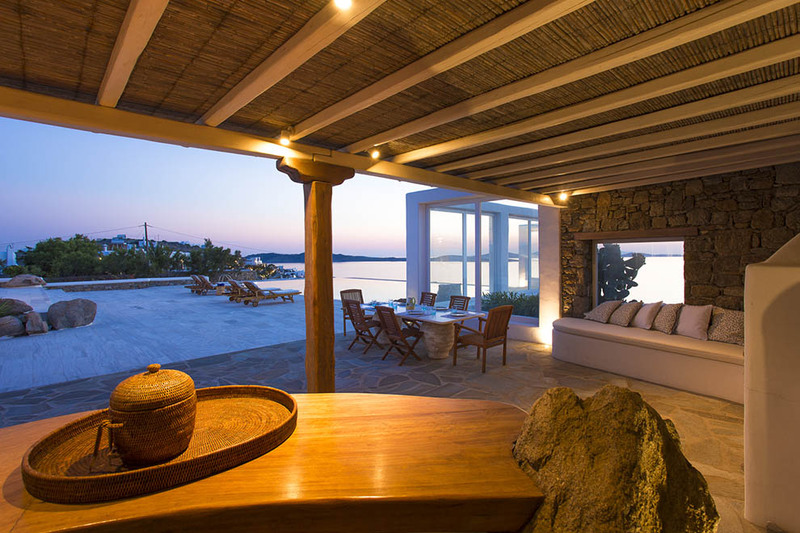 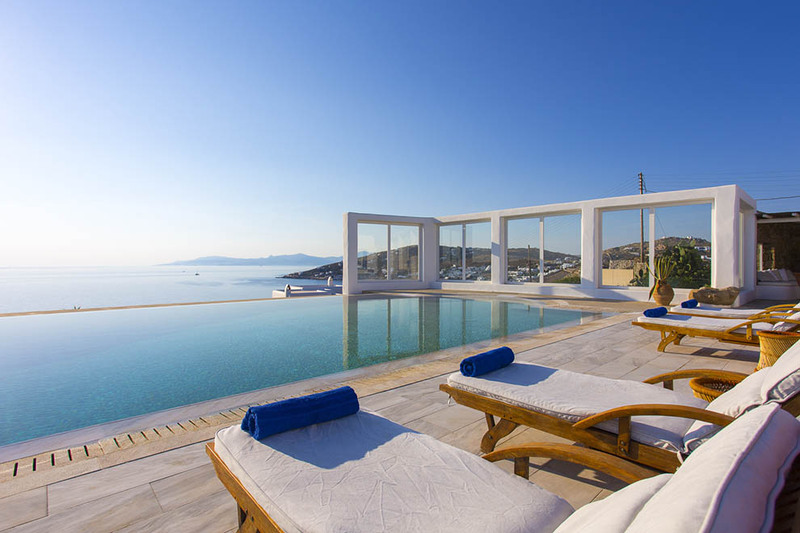 The superb villa “Blue Marine” is situated in the exquisite area of Saint John in the south-west of Mykonos. 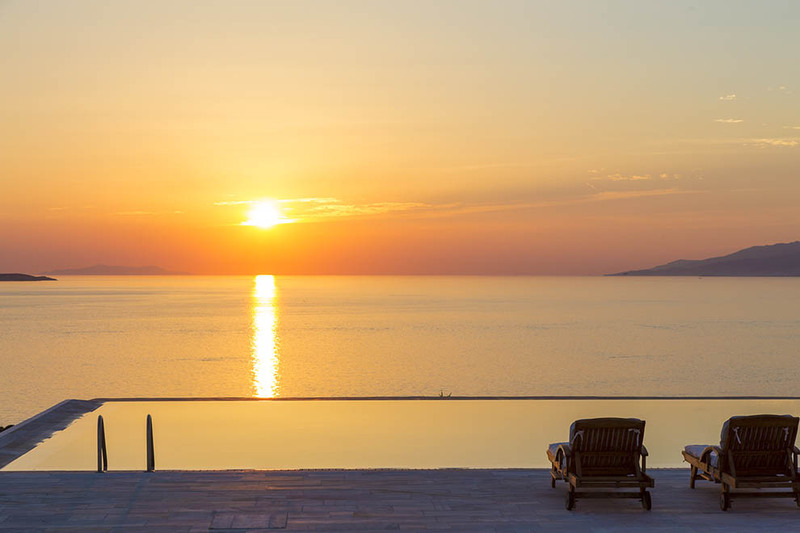 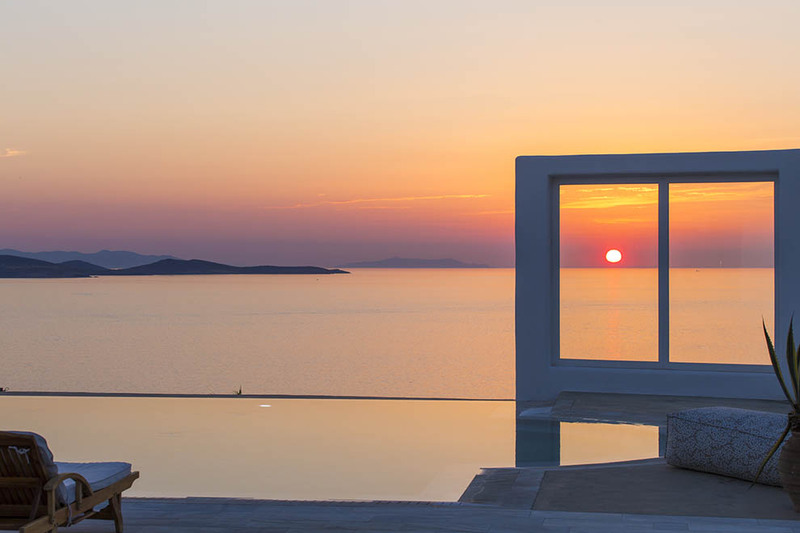 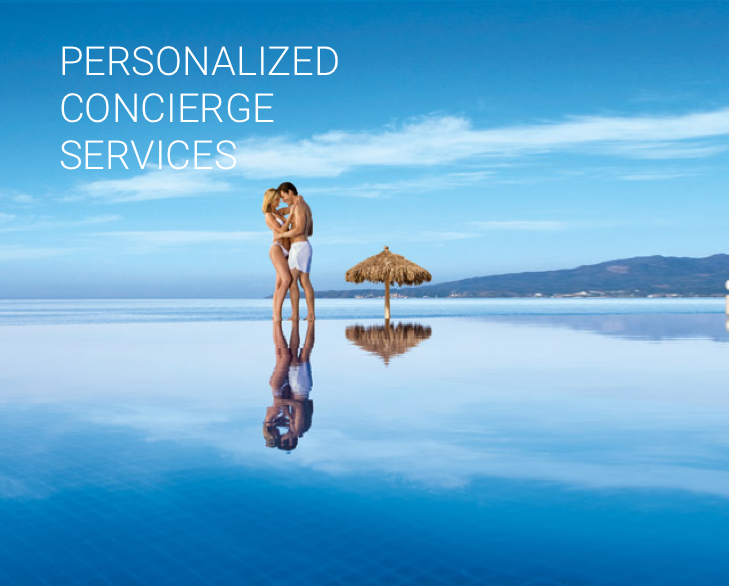 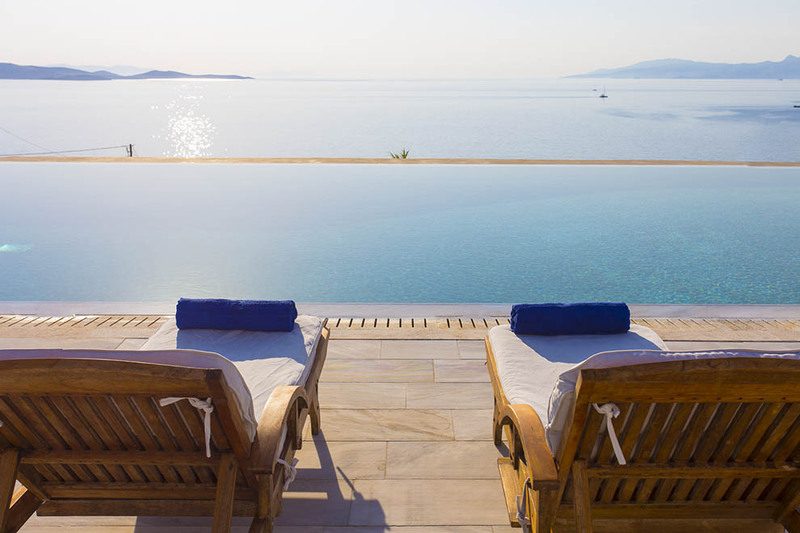 It offers a panoramic view across the immense blue of the Aegean as well as the breathtaking and of rare beauty sunsets. 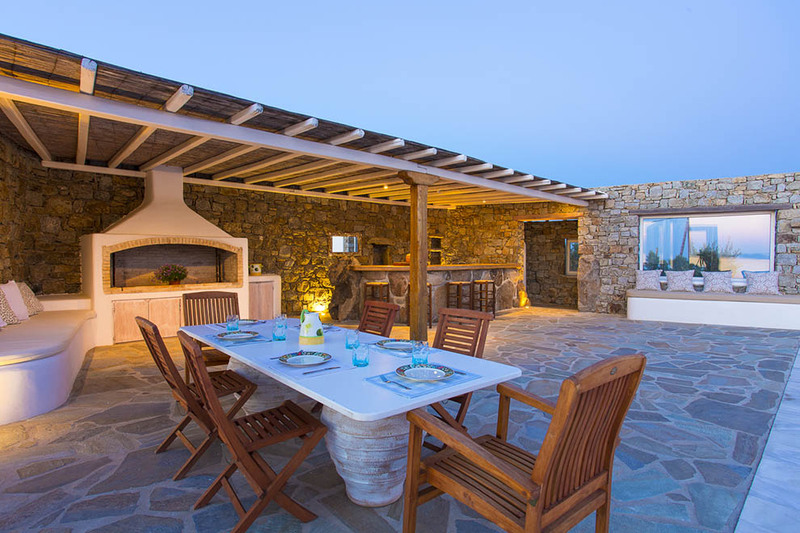 It also enjoys a fascinating view to the ancient island of Delos with its magical aura. 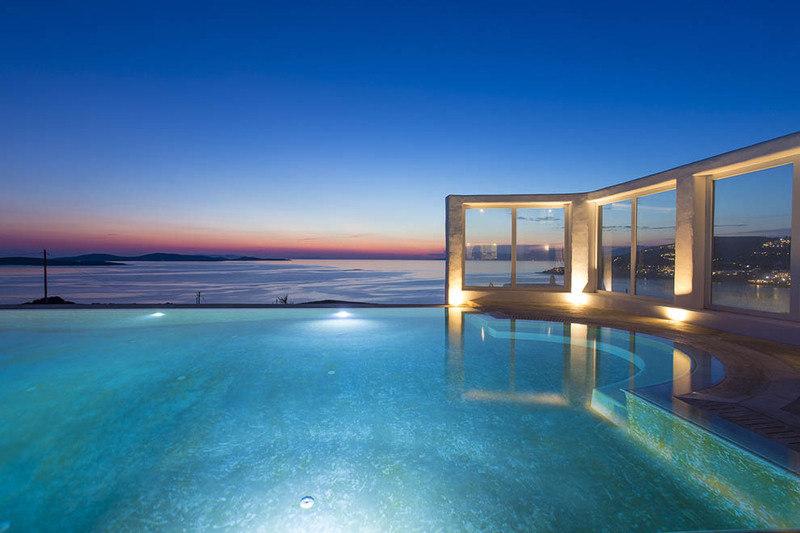 The main body of the villa unfolds on two levels. 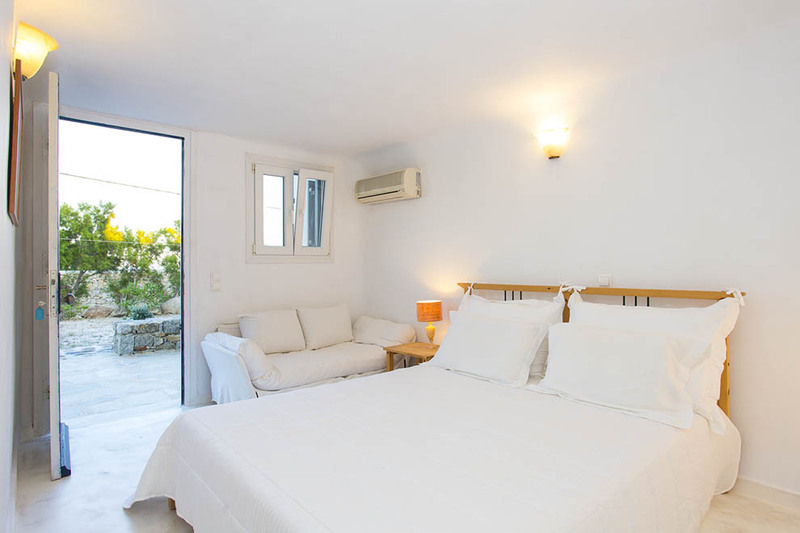 On the ground floor there are two spacious bedrooms with direct access to the exterior. 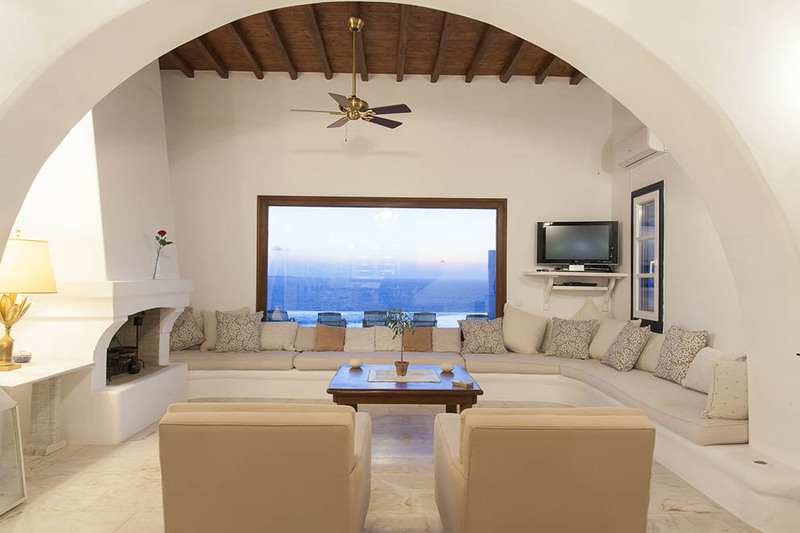 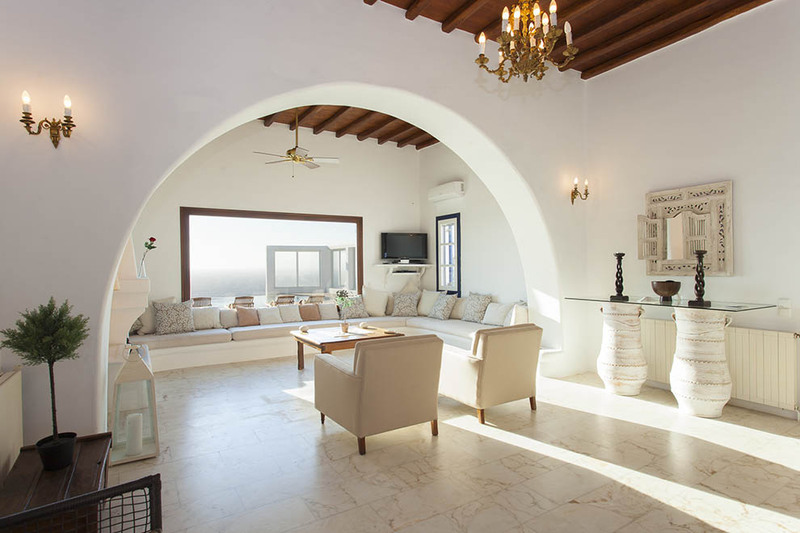 On the same floor there is a fully-equipped kitchen and a spacious living–room with a big comfortable sofa that dominates the room; the sea-view from the large window is breathtaking. 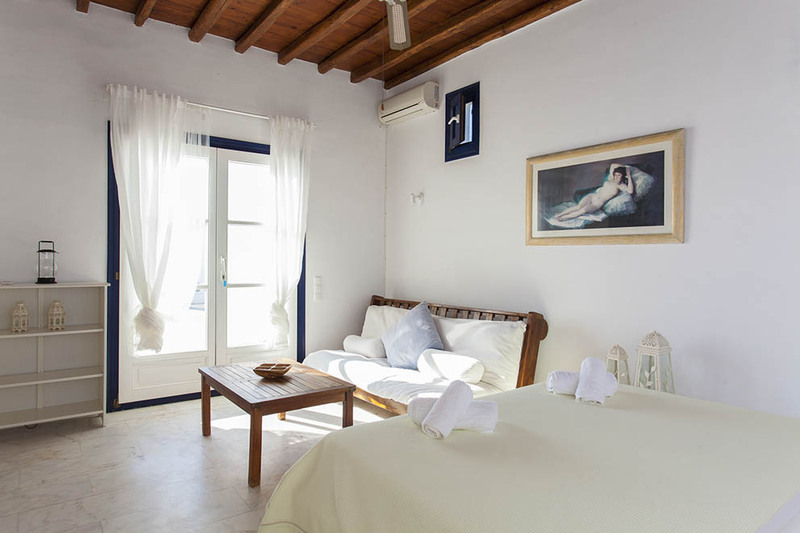 The decoration and the wooden furniture are all elegant and carefully chosen and mainly represent the traditional style that creates a really warm and cosy atmosphere. 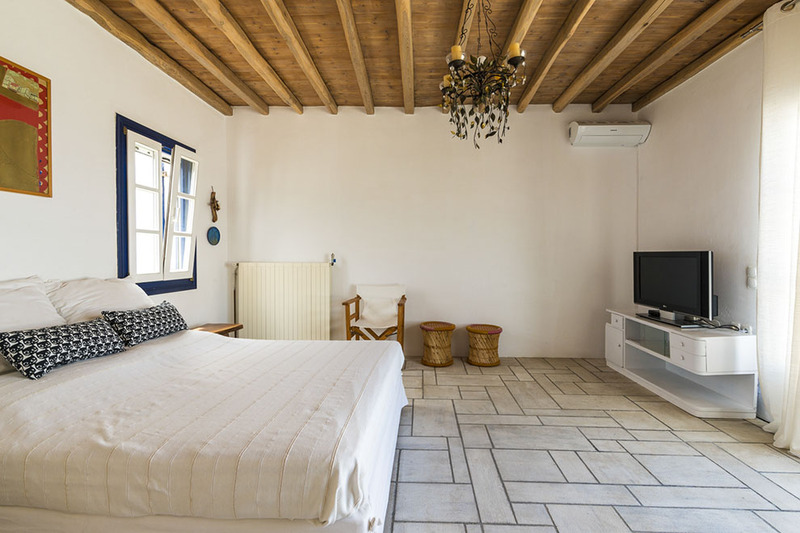 On the first floor is the completely independent en suite master bedroom, with all comforts and with the privilege of a gorgeous private veranda. 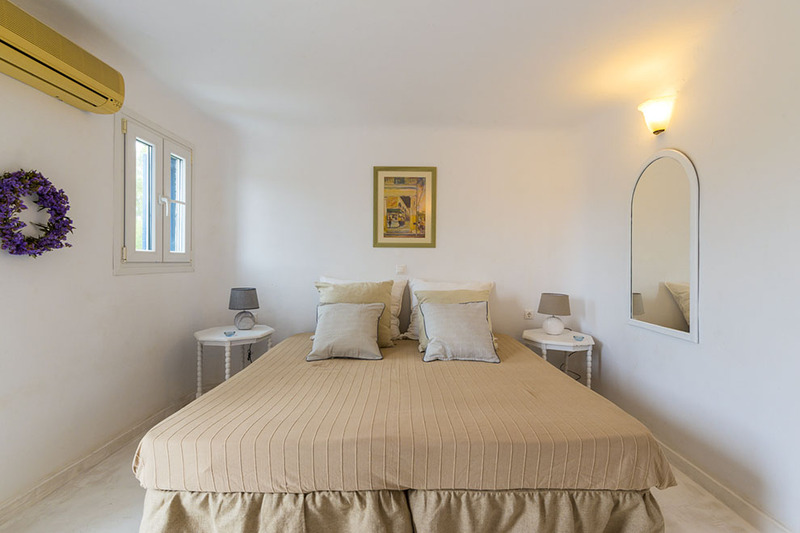 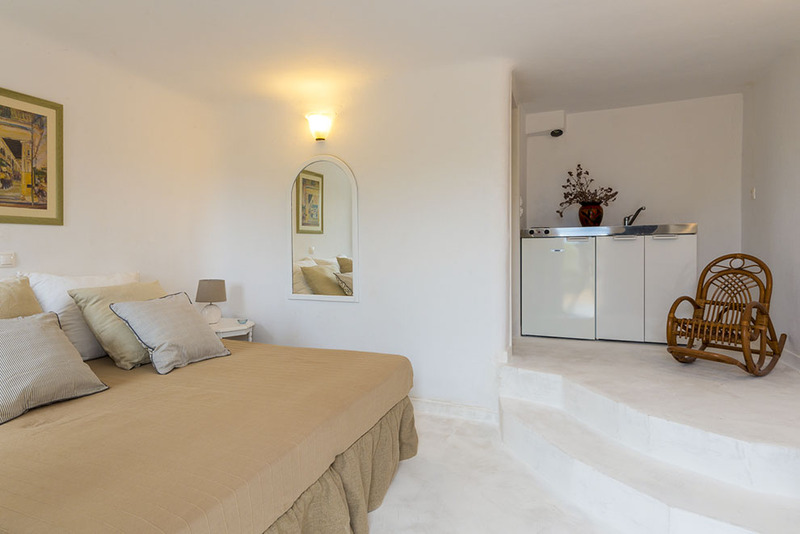 There are also two comfortable and tastefully decorated guest rooms, both of which have an independent entrance. 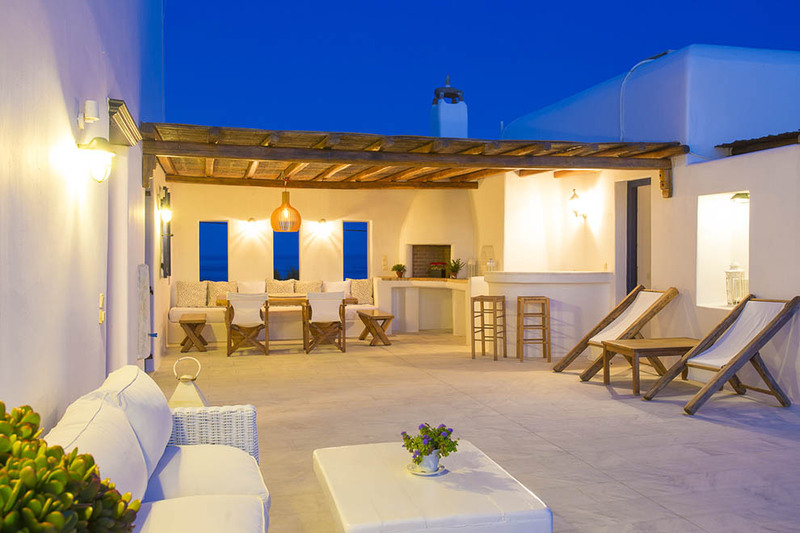 Villa “Blue Marine” is a beautiful and comfortable residence, ideal for those who seek to enjoy calm and relaxing holidays without lacking the ability to meet the intense cosmopolitan life of Mykonos or the privilege of the easy access to the shopping facilities and the well-known beaches of Ornos and Saint John.